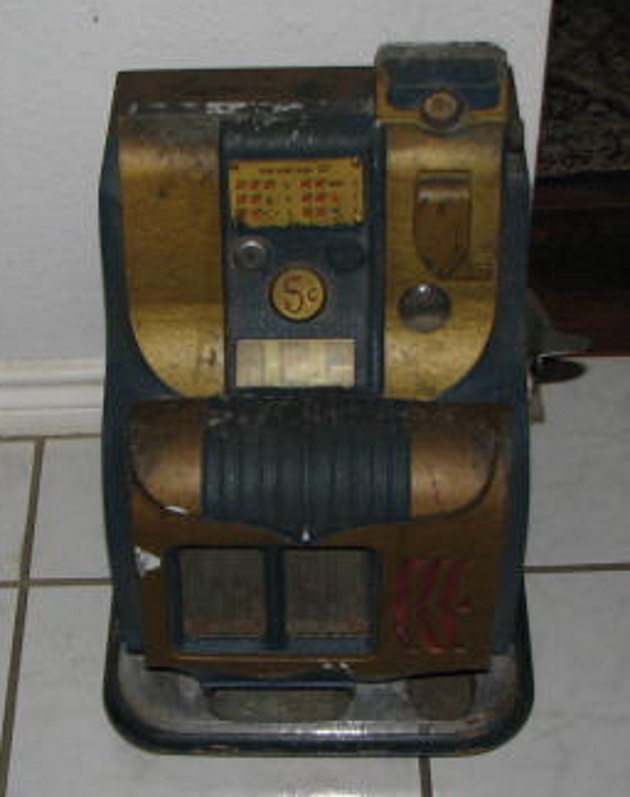 Mills QT antique 5 cent slot machine. The machine looks complete with the exception of a piece of glass. Does not work and I do not have the keys. Seems to still have money in it. It is well worth the cost to repair it and maybe even restore it. Arcade cast iron Fire ladder truck with white rubber tires.The truck is 13" long with out the ladders. It is missing the hose reel. I see no cracks or broken parts. Has Arcade 1941 cast in side the cab. 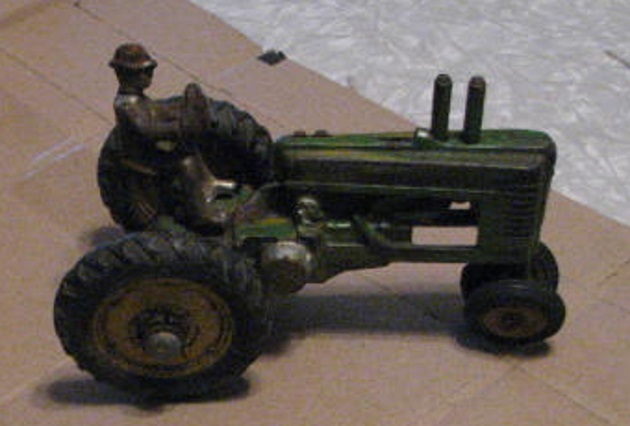 Arcade cast iron John Deere farm tractor. The tires are in bad condition and it is missing the steering rod. It has numbers cast inside but I can not read them. could not get the wheels to turn. Buddy L GMC Texaco tanker truck made about 1955. As you can see it needs a good cleaning or restored. I see no dents or rust that will leave Pitts. The 2 rear tires on this side have holes in them. The other side of the truck is much better. 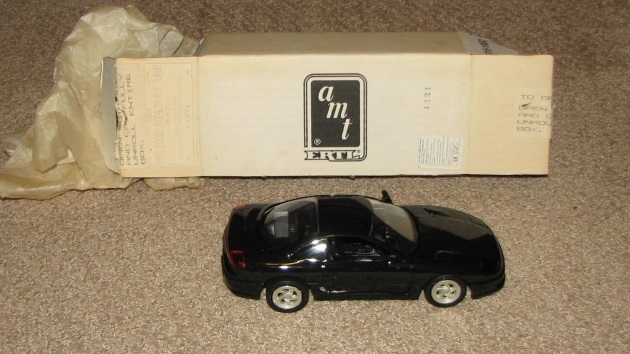 The decals say "Atomico" It is 17" long and made of hard thick plastic. The front comes off to hold "D" cell batteries. #1 1994, only 7000 made. #2 1994, only 8000 made. As new in blister packs. $150.00 for the pair plus shipping. Barclay cars These are very nice. 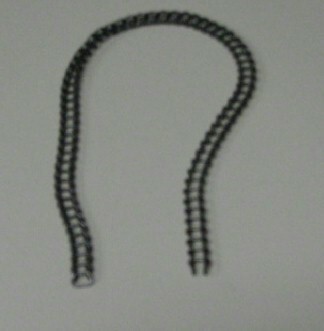 1 Foot of ladder chain. This may be the right size for Structo. ?? 6 Foot of ladder chain, fits Buddy L and Doepke. #103 Sedan blue 4 1/2" $15.00.--- # 103 Renwall sedan 2 toned 4 1/2" $18.00. --- #93 Renwall red delivery sedan has hair line crack in side, $15. 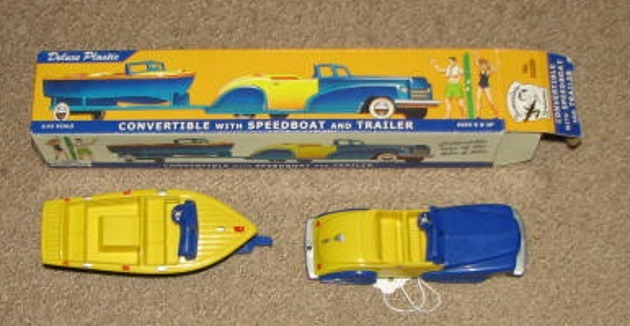 -- - #62 Renwall yellow pickup $10.00. 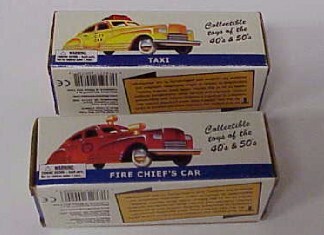 Thomas Toys #128 Taxi $40.00. 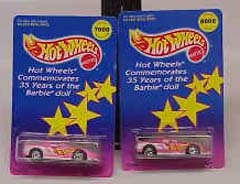 Hard plastic cars. Made by Dime store dreams. They sold in stores about 7 years ago. They are now very hard to find. They are very very nice and have very nice colors. 1991? . 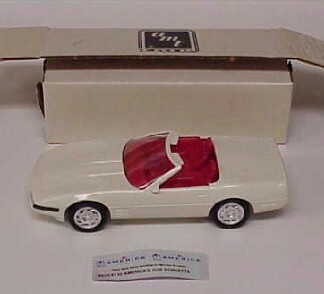 Corvette convertible AMT #8923 dealer promo "Americas Corvette". -- --GARTON KIDILLAC. PRO RESTORED. YOU WILL NOT FIND ONE NICER. 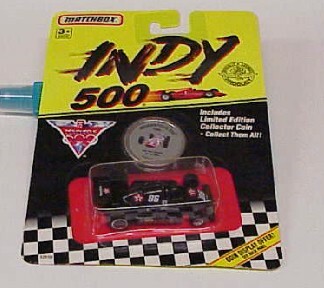 ---- Ertl Big A Auto Parts truck. 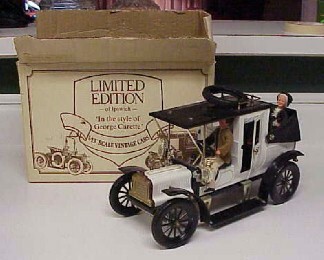 Sold at Big A auto parts stores in the 1980's. It is as new and has only been out of the box when I took the picture. 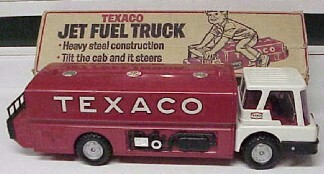 ----- TEXACO JET FUEL TRUCK. The truck is as new. The box is missing 1 end flap. 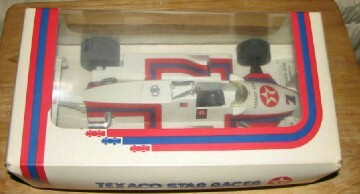 -- - 1982 #7 TEXACO STAR RACER. 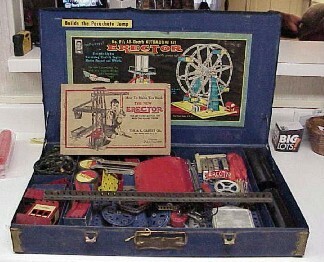 This set builds the parachute jump. All original, including the chutes. All toys on this site are satisfaction guaranteed. 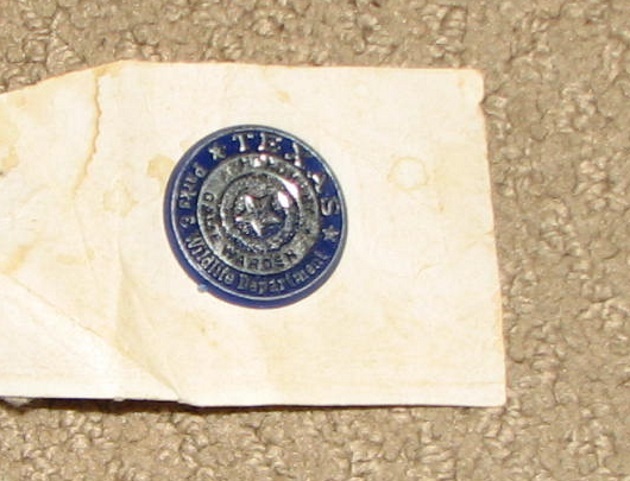 If you purchase a toy from "The Texas Antique Toy Collector" and it is not as advertised, email me in 3 working days for instruction on how to return it for your purchase price back. 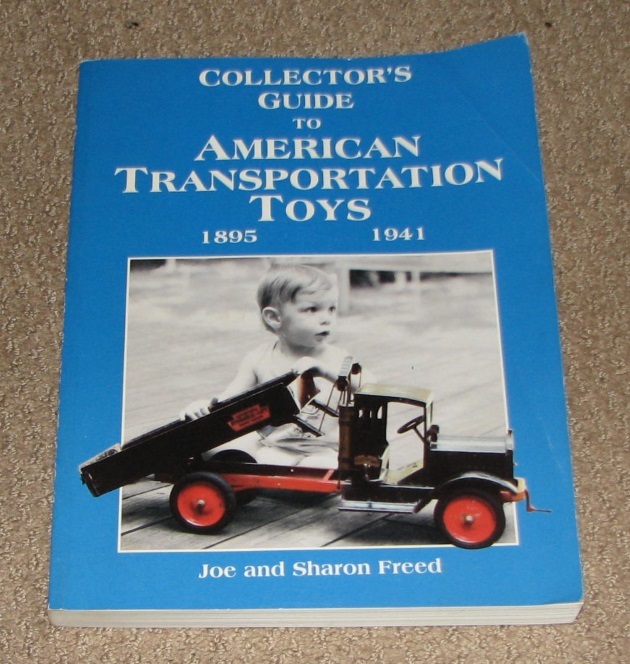 All you ever risk when buying from "The Texas Antique Toy Collector" is the cost of shipping the toy back. **** Money orders from the US Post Office prefered but I will take PayPal, if you add 3% to the total. **** Buyer pays shipping, insurance, tracking and $2.00 for packing materials. **** Click on "Return to main page", and then click on to my "Wanted to boy" page to see pictures of some of the toys and Daisy BB guns that I would like to buy. I am not a business or a dealer. 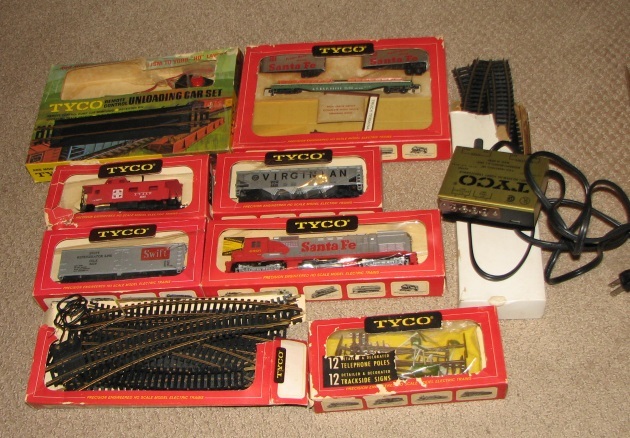 I am just an old retired guy selling off some of my 30 year collection a few toys at a time. What I do not sell will go to the grandkids.